“Two possibilities exist: either we are alone in the universe or we are not. Both are equally terrifying” – Arthur C. Clarke. This opening quote sets the tone for the world of XCOM on a whole. In Enemy Unknown, you see the divisions – and humankind’s – first encounter with alien life, and it’s not pretty. The elite paramilitary organization known as XCOM has been formed to fight off the extra-terrestrial invasion, with multiple superpowers from around the world investing in the program. As abductions mount, panic spreads across the globe before a full-scale war develops. What’s neat and special about XCOM: Enemy Unknown‘s derivative plot is its delivery of the story and that it is communicated over various formats. Research sheds light on the invaders via text scrolls, the uncommon cutscene will drive the main narrative along and voice-overs from your base crew give context to the current situation, both in-battle and back at the headquarters. Dr. Vahlen, for instance, expresses wonderment at the sight of extraterrestrial life when the squad comes into contact with them on the ground, adding a layer of curiosity and innocence, painting the aliens as the aggressors when they do attack. The process and journey of discovery to defence and the dire battle for our planet is well portrayed. XCOM: Enemy Unknown is practically half management, half TBS gameplay, and you cannot succeed without excelling at both. The decisions you make at home-base – what to upgrade, where to spend your money, which country to place a satellite over, etc. – inform how you do on a large scale and also down in the trenches of the wasteland that Earth is becoming. You’ll find a research wing, an engineering wing, your hangar, barracks, the situation room – where you can keep track of countries, their panic level, requests and more – and mission control, which is where you scan the globe for incidents needing your attention. Choosing which continent to station and build your headquarters determines which bonus you receive. This can mean reduced costs for upgrades amongst other options and plays into your strategic play-style. Research and engineering often go hand-in-hand. With each new development, new research opportunities become available to you. Many times, the result of that research is a new technology, which can then be created in engineering and equipped if possible. Sometimes, an item required for story progression is needed. Your finances will take a hit if you are too heavy handed early on; they can be replenished by completing certain missions, selling items on the gray market and receiving inflow from the council in a monthly report. Your interceptors and soldiers must be equipped sufficiently if you want to survive a UFO attack or ground conflict respectively. There are 4 classes of soldier: Assault, Heavy, Sniper and Support, with one sub-class called Psionic, that can be attained and its accompanying abilities added to any soldier’s existing list (this comes with tenure, training and experience on the field). When deployed, turn-based strategy takes over. There are lots of variables going on in a gunfight: the level of protection of your current cover, your skill-set, distance between forces and more. You have two turns, but on the second turn, if you decide to advance further out – indicated by orange squares on the ground – you will end your turn with that move and not be able to attack. Some of those factors are taken into account when looking at percentage chances of hitting your target. When your percentage is too slow and there are few options for changing position, it’s advantageous to either hunker down or enter Overwatch, which has your squad member ready to shoot any moving target, though at a reduced aim rate. When taking a shot, the camera changes perspective to over-the-shoulder to make the kills more visceral. 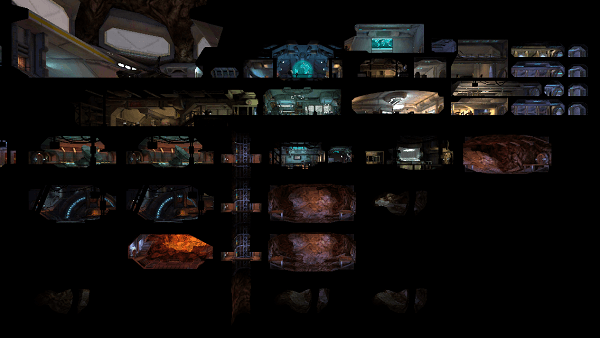 The gameplay is deepened by the added skills through levelling up each class and the variety of load-out options. I came into this review with no former experience with the series, and very little with the genre itself, but I am hooked. The depth of play here really deserves a lot of praise. Yet, I’m annoyed with myself for not having ventured into XCOM: Enemy Unknown on the PC, if only because the touch-screen controls of this iOS counterpart are slightly irritating. Tapping on a character swaps to that character, but it can be sensitive and do so when not intended – a simple double tap requirement would have fixed the issue. And rotating the camera view with touch? Forget about it…70% of the time, your gesture will be misinterpreted as a level change or zoom-out. This my be more prevalent on the smaller screens of the iPhone and iPod Touch, the former being the device I reviewed the game on. But, thankfully, there is a secondary tap-based functionality for controlling the camera on the left of the screen. So the good heavily outweighs the annoying. 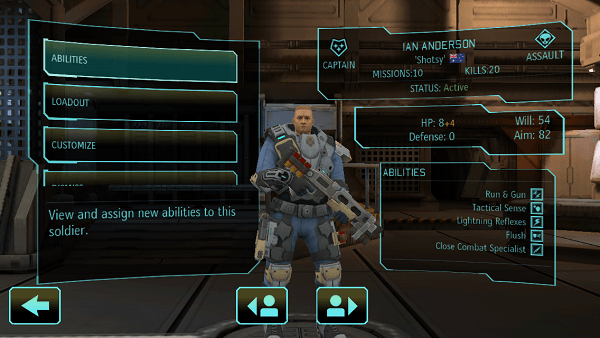 Graphically, XCOM: Enemy Unknown takes an expected hit on the iOS. The PC version was never Crysis; it was beloved for the gameplay, strategy and management – let’s get that straight. The same can be said here. Jagged edges and models abound and visual glitches are not uncommon. For example, if you have more than one squad member in Overwatch, and an enemy or two advance, the camera gets a little confused about the state it’s supposed to enter. I also witnessed the camera travel through the air into nothingness and not return to ground level for maybe 15 seconds when a Floater launched upwards. Outside of the action score, there are moments where the music is extremely reminiscent of something out of Deus Ex: Human Revolution. It has a similar instrumentation, vibe and overall sound. Sci-fi runs through the veins of the aural landscape, as if the theme itself didn’t drive it home that this is fiction-based. The synth keyboard is prominent in almost all pieces. The voice acting all around is more than adequate, with squad call-outs adding to the sense of teamwork. When there’s “Alien Activity” and none are visible, but you can hear their blood-curdling growls and unnatural shrieks…that is truly creepy, and nerve-racking. 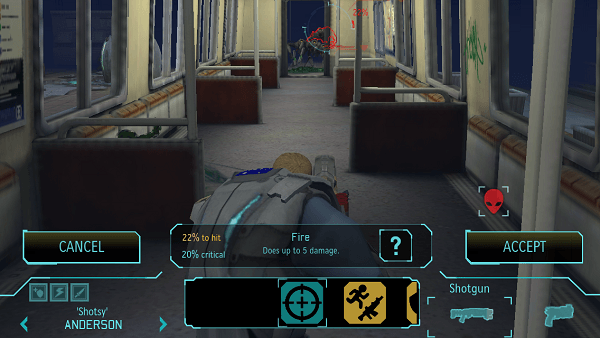 XCOM: Enemy Unknown on the iOS is a great port that unfortunately, like many others, suffers from the trappings of the touch-screen. Navigating the camera/perspective with touch is a pain, but the included “button” offers a reliable alternative. There are also crashes – which can be fixed with an update – but are offset by a “save any time” save system and frequent autosaves. All up, it’s an addictive, deep TBS game that I find myself wanting to return to with every free moment. I’m unsure how many people would buy this version over/as well as the PC version, especially because digital PC games can be bought well below the RRP. 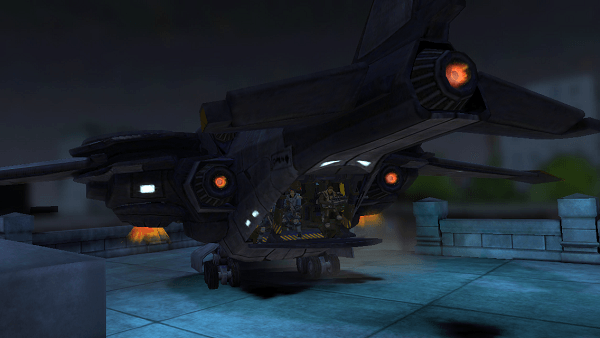 But, if you want to experience XCOM: Enemy Unknown on the iOS, then there’s more motivation to than not.